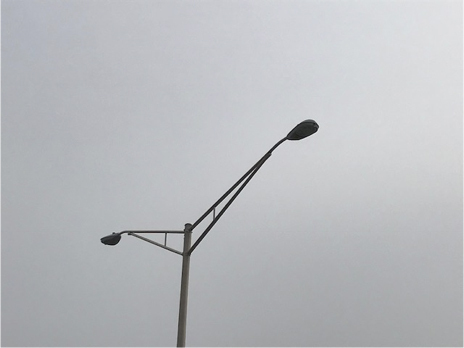 Update Boone County Zoning and Subdivision Regulations to establish a policy to include street lighting on private and/or public roadways in new industrial parks or other development areas that generate night-time pedestrian and/or bicycle traffic. Consider requiring solar-powered and/or LED lighting to reduce operational costs. Implement policy on all future industrial and commercial development in Boone County. Boone County will deploy the first lighting district within the next year in a residential development. This recommendation includes monitoring the costs and benefits associated with this lighting district to determine if additional lighting districts should be implemented throughout Boone County in either residential or commercial areas. This policy recommendation is proposed to be conducted within existing Boone County administrative budgets at no additional cost. The costs of implementing new lighting will be tied to future private commercial and industrial development to the greatest extent possible in order to minimize the need for public investment. Improves safety for those traveling by foot or bike at night. Solar-powered or LED lighting would reduce operational costs. Additional costs associated with lighting may not be supported by commercial and industrial developers. Boone County is home to major companies that serve as significant truck and employee traffic generators. Continued Boone County growth in freight logistics and distribution companies will continue to traffic throughout the day upon roadways in Boone County. TANK currently operates nine express routes, one local fixed route, seven Park & Ride lots and one Transit Hub in Boone County. Many employees rely upon public transit to access work and home; however, TANK bus routes do not serve every Boone County business. Employees often must walk or bike the “last mile” to reach their place of employment. Many Boone County jobs are tied to supply logistics, distribution and manufacturing-sector companies which operate on multiple shift schedules. Multiple shifts result in employee travel during off-peak, early morning and late night times under dark conditions. The combination of walking or biking in the dark during off-peak shifts creates serious safety issues when street lighting is not available. Over the five-year study period from January 2012 through December 2016, there were three fatal crashes that occurred in dark conditions that involved a pedestrian and 18 injury crashes that occurred in dark conditions that involved a pedestrian.